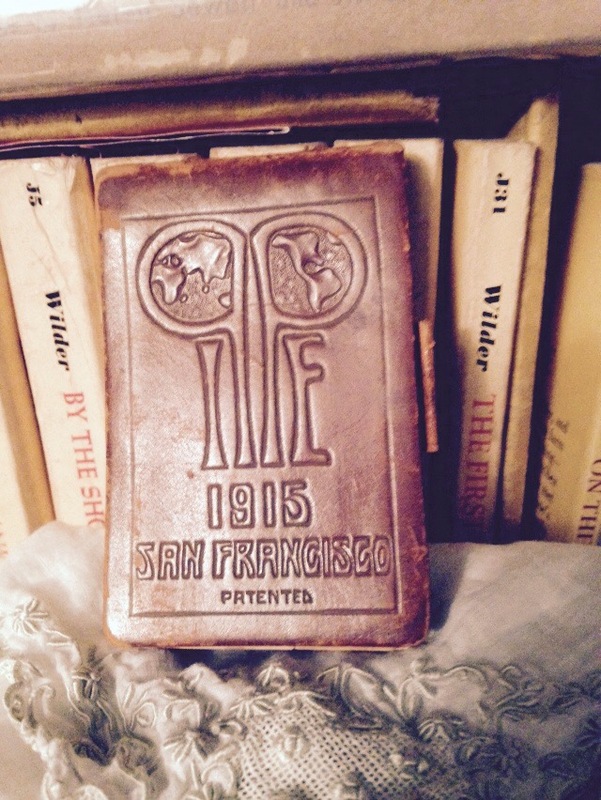 This Friday marks the Centennial of the Panama-Pacific International Exposition at San Francisco, which opened 20 February 1915. Fans of Laura Ingalls Wilder will recognize this as the fair which she attended while on an extended visit with her daughter, Rose Wilder Lane, who was living in the Bay area at the time. Laura’s explorations at the Fair were preserved in the form of many letters and postcards to her husband, Almanzo Wilder, who necessarily stayed home to mind the farm. These letters form the basis for a posthumously-published work, West From Home. Wilder also used her visit as fodder for a series of articles in The Missouri Ruralist, a farm journal for which she had been writing since 1911. I found this leather-bound reporter’s notebook, embossed with the PPIE logo, in an antiques store in Meredith, New Hampshire in 2010 for a mere $3.00. The notebook contains a small pencil-loop on the right side, and retains over half of its original blank paper. The exterior measures approximately 2″ wide x 3-1/4″ high and 3/8″ thick. 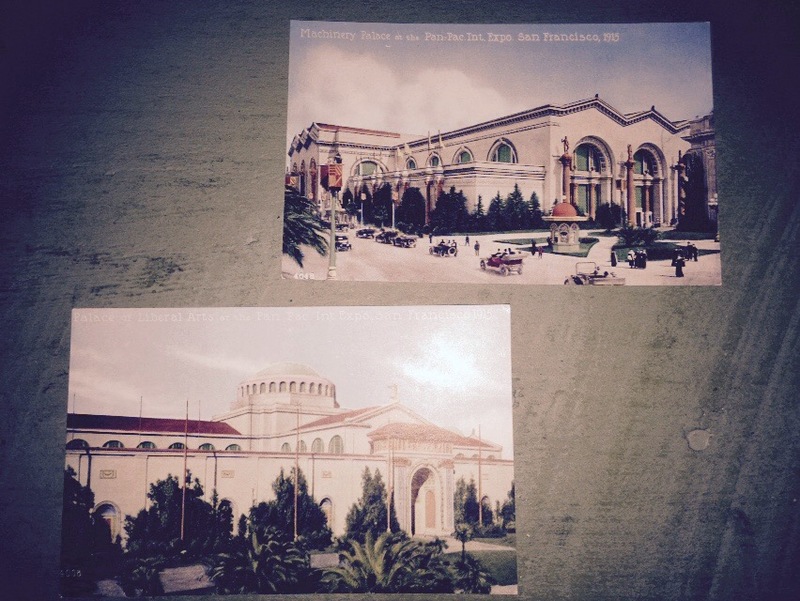 Two blank souvenir postcards from the 1915 PPIE in San Francisco, located at a group antiques dealer shop in Concord, New Hampshire in 2014. The images featured are the Machinery Palace (top) and The Palace of Liberal Arts (bottom). Happy 148th to Laura Ingalls Wilder, with Love from Google!